Tired of ineffective anti-malware tools then fire up Malwarebytes Anti-Malware 2.0, the world’s popular malware removal tools available. Malwarebytes Anti-Malware (MBAM) has got the most complicated anti-malware technologies and industry-leading scanner that detects and removes various malware infections such as Trojans, worms, spyware, rootkits, rogues, etc. According to OPSWAT, MBAM is the most popular security product installed by users. MBAM is obtainable in two different versions – Free and Premium. If you wish to have better protection, think about Malwarebytes Anti-Malware Premium which instantly checks for malware threats and automatically removes from infecting your PC, thus, preventing hackers from accessing your precious data. 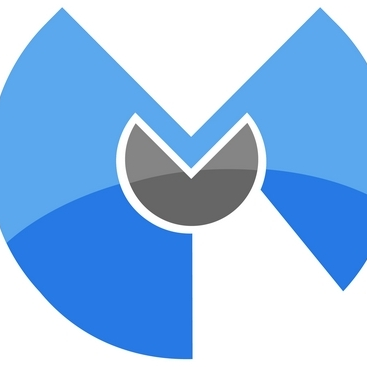 The new version Malwarebytes Anti-Malware 2.0.1 has improved several features and fixed various issues related to system crash and performance. [Reduced] Intensity of colors used for tray notifications and status banners in the Dashboard. Malwarebytes Anti-Malware 2.0 sports new look that is easier to navigate with fewer tabs, touch-friendly buttons, and adaptive windows. When not in use, MBAM sits in system tray which improves usability. The main interface shows the important details of the program and your system such as Product License, Database Version, Scan Progress, and Real-Time Protection. You can select three types of scans – Threat, Custom and Hyper (Quick) scan from the user interface. [FREE]Anti-Malware/Anti-Spyware – Detects and eliminates malware from your system. [FREE] Built-in Anti-Rootkit – Removes rootkits and repairs the files they damage. [FREE] Advanced Malware Removal – Uses industry-leading technology to completely remove malware code. [PRO] Malwarebytes Chameleon Driver – Prevents malware from closing or stopping Malwarebytes tool or modifying its processes. The Anti-Malware feature has improved 64-bit support which comes with integrated Anti-rookit option. There are many utilities available like access managers, automatic schedulers, exclusion options, etc., which can be managed under “Settings” tab. MBAM offers a forum community to discuss issues related to new and existing malware around the globe. Overall, Malwarebytes Anti-Malware 2.0 is an excellent malware removal program for both naïve and experienced users. The program is supported in Windows 8, 7, Vista, XP, 2003 and Server 2008 operating systems. The paid version is available for $24.95 or you can try a 14-day trial of the premium and then upgrade if necessary.